The Audio-Technica company has been making some new waves in the DJ vinyl turntable market and I, for one, like what I see. A couple of weeks ago, we brought you the review of the Audio-Technica AT-LP120-USB turntable which is basically a nice rendition of the iconic classic Technics 1200 deck. Not only was it a good look-a-like, but it also performed rather well for its price. Audio-Technica has now introduced an even better SUPER-OEM turntable that can hang with the best of them called the AT-LP1240-USB. Check out our Full HD-Video review after the jump. 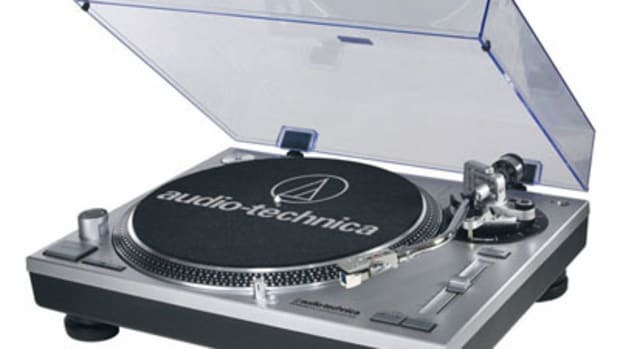 The Audio-Technica AT-LP1240-USB is the premier vinyl turntable from the Audio-Technica DJ Lineup. 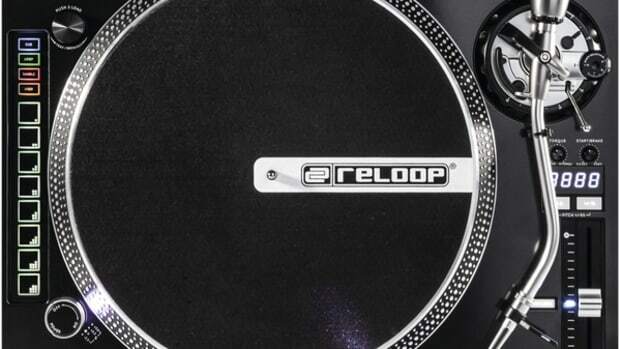 These turntables were recently released, but if they look familiar, it’s because they are! 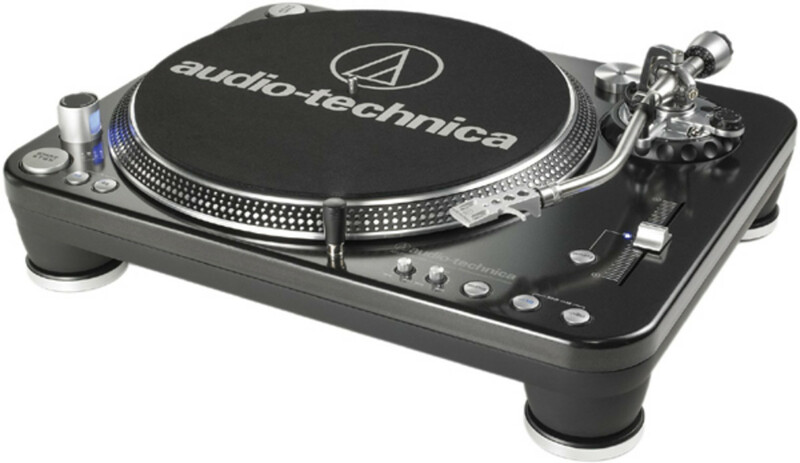 The Audio-Technica AT-LP1240-USB are also known as the “Super-OEM” turntable which shares the same internals as the Stanton ST-150, the Numark CDX, the American Audio HDT4.5, and a few other decks that have been around since about 2005. The “Super-OEM” turntables are still arguably the best turntables for DJ’s in the world with the best and strongest motor out on the market today. Turntablists all over the world swear by them and they are now proven in the longevity category with a 7-year history already in the books. The Audio-Technica retains all of these excellent qualities while also having a nice black color scheme with a tinted plastic dust cover to boot. 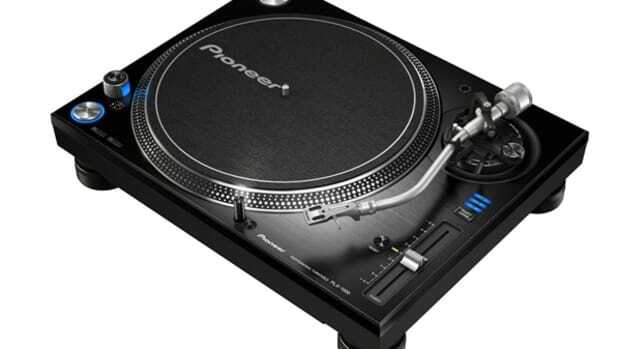 The upper body of the turntable is all steel while the lower portion of the deck is a very heavy rubber material for dampening and isolation purposes. These are some seriously heavyweight turntables clocking in at a bit over 42lbs each! That&apos;s a lot of high quality components that are all built to last. Along with getting an excellent turntable with an excellent motor, there are lots of nice extra features such as the ability to play records in 33, 45, and 78 RPM, a reverse play button, Separate Start & Stop speed adjustment knobs, adjustable pitch range buttons (8%, 25%, 50%), internal power grounding, rubber feet, replaceable pop-up light, and two start/stop buttons aligned in the perfect position for turntablists and scratch DJ&apos;s who like to place their decks in the battle configuration. To top it all off, it comes with a nice felt slip mat and a good headshell to get you started. We tested the AT-LP1240-USB with a Shure M44-7 cartridge and the results were excellent. The tracking was just right after we setup the tonearm height/weight and there was not a skip to be heard or seen during our scratch battle and juggling sessions. Everything just felt SOLID in every sense of the word. All of the buttons have a more rubberized feel to them over the other Super-OEM turntable models and they all have an audible click so you can be sure if you activated the button or not. The pitch slider felt solid with lots of resistance and does not have a center click to it, but there is a blue LED next to the absolute zero marker so you know when you are at perfect vinyl speed. 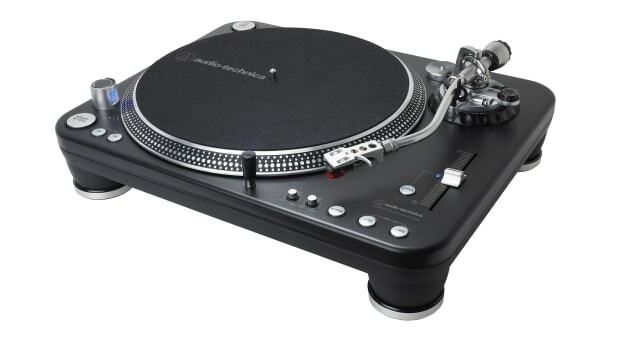 The Audio-Technica AT-LP1240-USB professional DJ turntable is one of the newest "Super-OEM" turntables to hit the market that is sure to be a big hit with professional turntablists as well as vinyl DJ's all around the World. 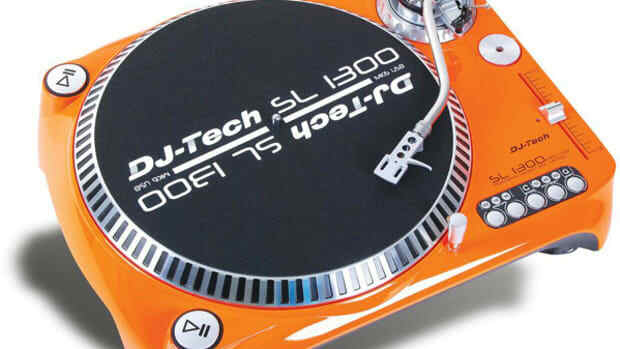 The AT-LP1240-USB has a super-high torque direct drive motor, comes with a tinted dust cover, and has lots of cool features that DJ's will surely love. Audio-Technica was gracious enough to send us one for a full detailed video review that will be completed shortly. Check out the Unboxing/First impressions video to hold you over until then. Since the announcement of the discontinuance of the mighty Technics 1200 turntables, DJ's everywhere have been looking at different vinyl alternatives for their DVS timecode and analog setups. About two years ago, Audio Technica came up with the AT-LP120-USB direct drive professional turntables with a striking resemblance and feel of the iconic classic Technics 1200. Audio Technica was gracious enough to send me a brand new unit to put it through our tests for a full in-depth HD-Video review. The review will be ready shortly, but check out the unboxing & first impressions HD-Video after the jump. AT has just released the newest edition of their flagship AT-LP1240 DJ Turntable.